​Let Alto help you smoothly transition to Microsoft Office 365 and the cloud. Our Microsoft certified staff delivers planning, migration, implementation, training, consulting and ongoing support. Microsoft Office 365 combines the familiar Microsoft Office desktop suite with cloud-based versions of the latest collaboration and communication tools from Microsoft -- all delivered as a monthly subscription service. Your employees can be more productive while you reduce and control costs. 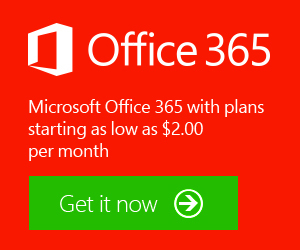 Take advantage of Alto's Office 365 Quick Start offer​. Contact Alto's sales department for a free Office 365 consultation. Try Microsoft Office 365 for free for 30 days. Employee productivity increases. Office 365 offers secure, anywhere access to email and calendars, file sharing, instant messaging, presence awareness and conferencing from almost any device. Office 365 is easy to set up and use. You can get started in minutes and there's no training needed. Low, predictable monthly cost. Office 365 features a flexible, per-user licensing model which allows you to purchase a plan that is just right for your company. Data is secure. Microsoft is a leader in industry privacy and security practices, and Office 365 is compliant with world-class industry standards including ISO-27001, HIPAA-BAA and more. Enterprise-class reliability. Because it's Microsoft, Office 365 has a financially-backed Service Level Agreement with a 99.9 percent uptime guarantee. Patches, security updates, and back-end upgrades are automatically deployed with no additional costs. Register for Getting Started with Office 365, our half-day course. View our Webinar: Office 365 & SharePoint Productivity Tips. Sign up to receive Alto's e-newsletters and invitations to free special events and webinars. Alto located in Minneapolis, Minnesota delivers services across the U.S.
Turkey processor moves to cloud to reduce costs and increase productivity. Migrated to Exchange Online to reduce administrative costs. Implemented Microsoft Online Suite that includes Exchange and SharePoint.